Samrod Blinds custom made vertical blinds are a modern and classy option for any window size. Whether you have long front windows, balcony doors or large patio doors, vertical blinds are a flexible option giving you light control. These lightweight drapes can be adjusted to allow full or partial light into your room, all while enhancing the security and privacy of your property. 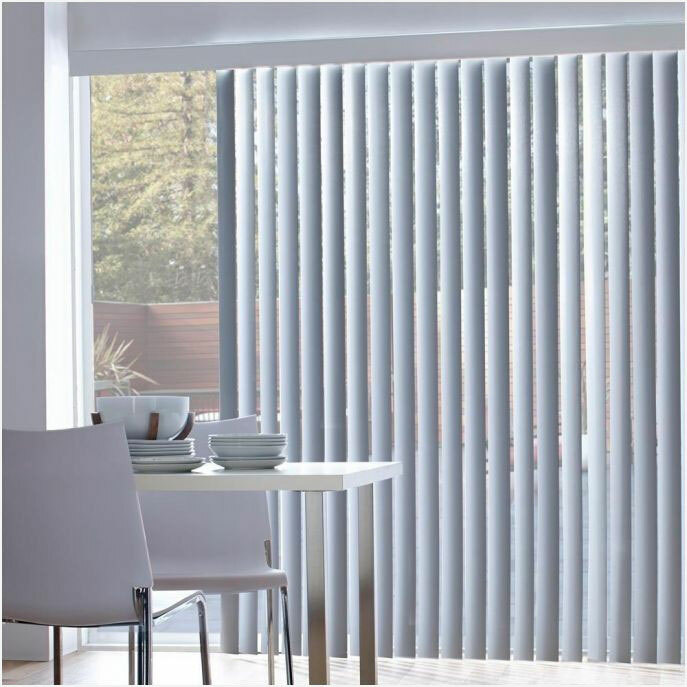 Our vertical blinds offer a full-draw option allowing easy access and egress through patio doors where required. Vertical blinds are easily cleaned and, if a panel is damaged, it can quickly be replaced without removing the full blind. Our collection includes a wide variety of textures, finishes with over 200 fabrics including jacquards, prints, sheers, translucent and flame retardant options. All Samrod Blinds made-to-measure blinds come with child safety and smart cord systems and our 8 year warranty. Please call us now to discuss our options and arrange a free no obligation quote. GET A 'VERTICAL BLIND' QUOTE TODAY!